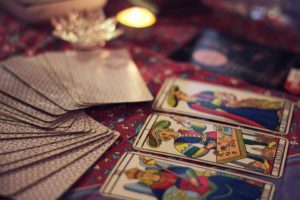 Being a good psychic host doesn’t only mean being able to read Tarot cards! There are hundreds of ways that experienced people can use to give guidance to those who seek it. Our psychic chat service allows hosts to express themselves. They can use their gifts to guide, offering assurance and positivity! Methods using astrology, star sign compatibility, and horoscope readings are very popular. Planetary alignment, solar and lunar eclipses can shape the advice given. An in depth knowledge as well as intuition is needed. Methods such as mediumship, spirit guides, and healing are used. Psychics reach out to a spiritual realm to provide guidance and answers to callers. Hosts may have their own personal spiritual guides. They might reach out to psychic customers loved ones. This allows them to provide comfort and closure on their concerns. Our Psychic service is not all about traditional psychic methods either! Our hosts are emphatic, good listeners who have their own psychic gifts. 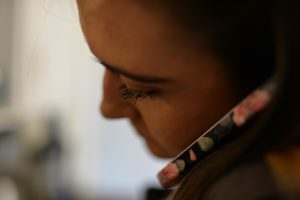 They provide emotional support and advice to callers on new and existing paths. Many customers are seeking a shoulder to cry on. They have concerns surrounding love, relationships, and careers. They might want a neutral, non-judgmental person to hear their side of the story. This way they get a balanced opinion on their situation, giving a positive outcome. Chatrecruit offers hosts the ability to be able to log on for live phone chat. They can connect to customers directly. and also be able to take online bookings in advance for phone chat. Our psychic messaging service is also very busy! Psychic callers can message hosts via our psychics app. They can send direct shorter questions, or request more detailed extended readings. When psychic hosts get good feedback on the app it means they will get even more traffic and repeat custom! Rgular earnings get paid direct to their bank account without any fuss! If you believe you have the qualities to be a great psychic host then register now with ChatRecruit. You could be online and earning money today!